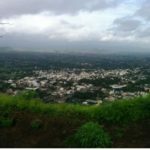 Pune sightseeing is not just about the city life, it is more about the nature that form some of the beat picnic spots near pune. So if you are out for these beautiful never to be forgotten trips you can avail the accommodation of Malshej Ghat hotels. Girijatmaka Temple, Lenyadri caves, Naneghat Hills, Manikdoh dam are few such places that you can choose to visit. 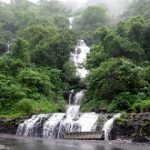 The natural flora and flora fauna present at the Malshej ghats is totally appreciable. If you love your friends of nature you are at the right place. There are a number of species that find their natural habitat at the malshej ghats. Number of amazing birds can be seen at the Malshej Ghats. Pune sightseeing is best done at the Malshej ghats. The malshej ghat and adjoining picnic spots near Pune is an ideal destination for trekking lovers. The rocky terrain and the pleasing climate make trekking an unforgettable experience. The guides available for trekking and Pune sightseeing help you get a swift tour. Pink Flamingo birds are special attraction of these picnic spots near Pune. People love to watch these beautiful birds and their activities. July to September is the best time to see these birds as they are found in huge quantity at this point of time. Along the travel way to Malshej Ghats on the National highway there are a number of hotels that offer comfy stay to visitors. Malshej Ghat hotels are well suited for every need. Hotels for all budgets are available and one need not struggle a lot to get one. One thing that’s common amongst the entire malshej ghat hotel is the superb location and view. All these hotels would feed your soul and fulfill your dream of staying at such a heavenly place. Apart from hotels there are a number of resorts in this location. However the hotels aren’t luxurious they keep you glued close to nature. Quite literally! You can touch the clouds here at Malshej Ghats. The altitude of the beautiful hill station takes you amongst the clouds. You can walk and stay in the clouds in this magical place. Malshej has number of water falls small and big. Visitors generally loose themselves to the serenity of the water falls. These streams of water seep through the rock forming beautiful sound of the free falling water. Some waterfalls are so majestic that they fall on the road ways and people can walk through them just like a shower. The entire experience at the malshej ghats and the things to do are going to make memories for you. You will always be thankful to the mountain range for a lifelong experience. While opting for various things to do let us promise ourselves to safeguard the nature and never deplete it.